Decades of development have brought the impregnated bit to the dominant position it holds today as the first choice for coring most formations. Where the natural or polycrystalline alternatives use a single layer of relatively large cutting elements which negatively influence the behaviour of the tool as they wear down, the much smaller crystals of synthetic diamond randomly distributed throughout the impregnated matrix provide an unchanging response throughout the life of the bit. 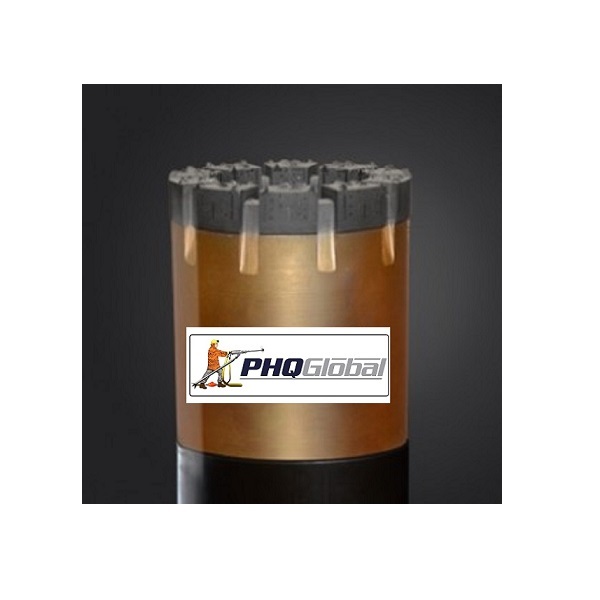 It is the complex relationship of diamond crystal and matrix metallurgy that provides the range of properties for which the impregnated bit has become known. By considering the drillability of the rock rather than concentrating only on hardness, we have judged the combined effects of abrasiveness, friability and hardness to develop a series of five products to meet the challenge of any formation. 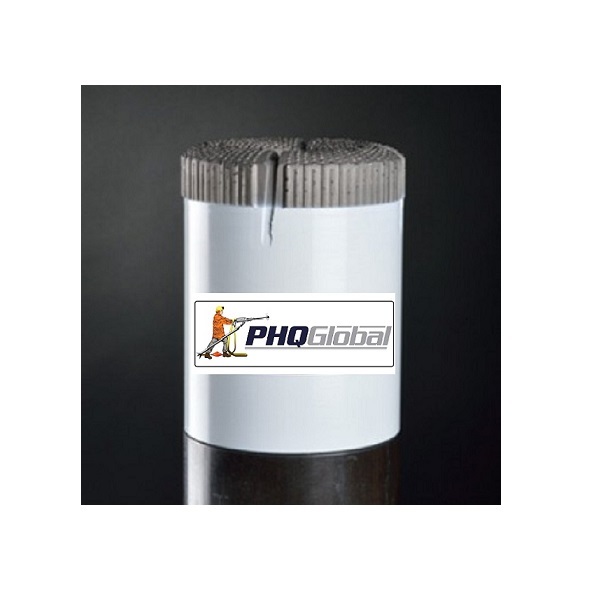 PHQ offers three standard impregnated crown profiles which will cover any commonly found ground condition. All share a face design that has been developed to provide reinforcement where it is most needed, while minimizing the risk of unwanted deviation. PHQ has listened to the concerns of the professional driller, who faces a bewildering array of products from which to try to make the correct choice. 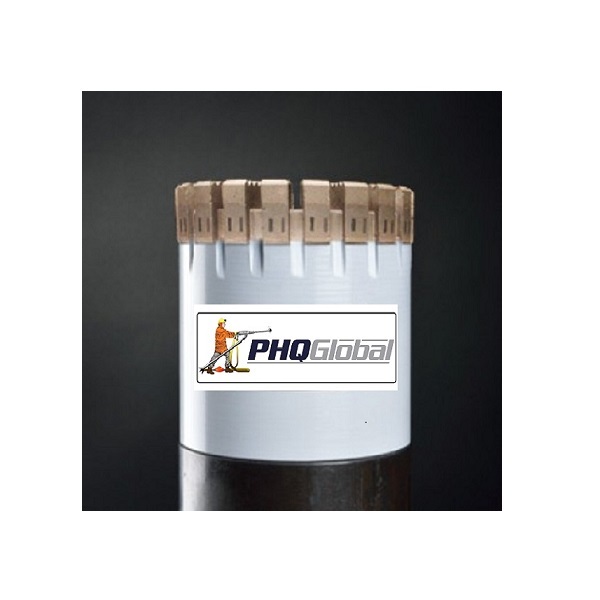 By its very nature, exploration takes on the unknown, so PHQ has eliminated the need to try to pick the right specialized product for a formation that has yet to be drilled. Instead, by giving careful thought to the metallurgical design, each member of a small group of matrices can perform well in a broad variety of conditions. Designed for the most broken and abrasive formations, where rock hardness is the secondary consideration. 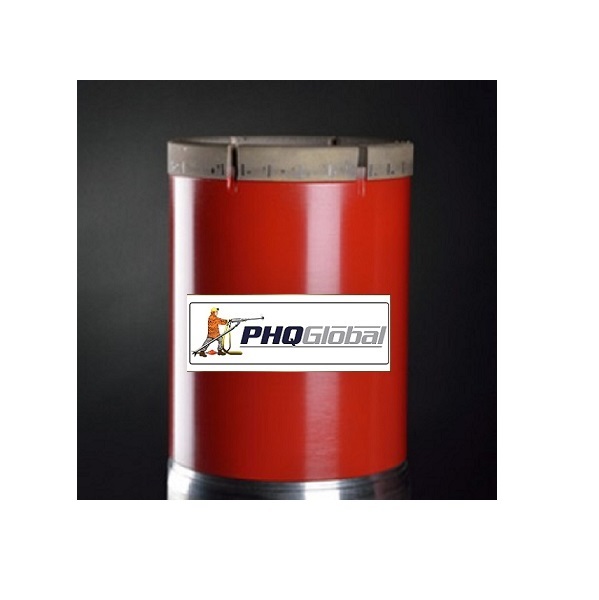 The product is protected from attack in the gauge area and has a combination of matrix metallurgy and diamond selection that provides productivity while resisting premature wear from the formation. This series would be the impregnated choice to consider for the replacement of a surface set product. This series is for formations of medium abrasiveness and hardness, as in many sedimentary rocks and overburden conditions. Coarse-grained and fairly broken formations are the usual areas of application for this general purpose matrix. A productive bit in medium to medium-hard formations, with moderate abrasion. 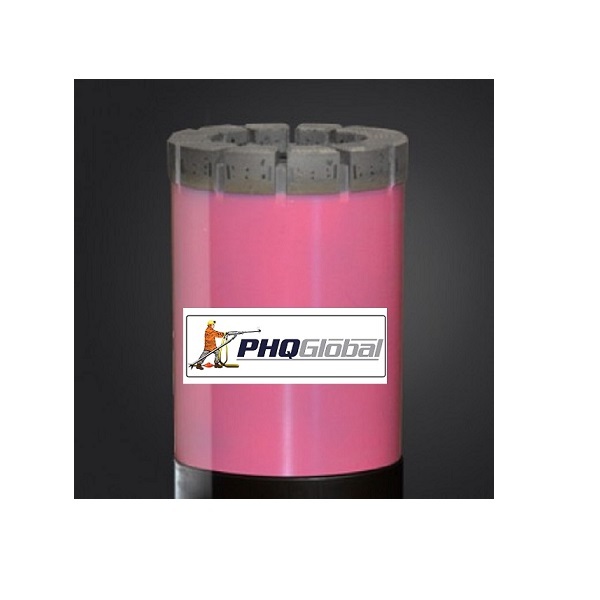 The matrix is designed to provide sustained performance in most igneous rock formations and is a good starting point for those cases where the rock characteristics are unknown. 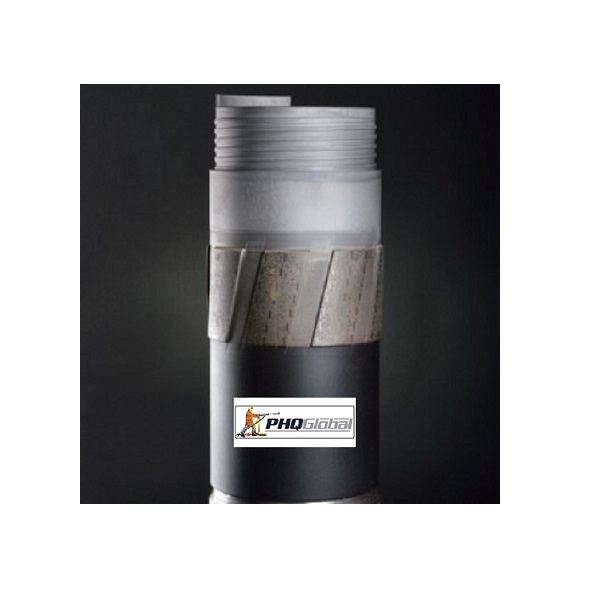 Finer grained rocks which offer little abrasive assistance to penetration need a freer-cutting matrix. This series is the likely choice for the harder igneous and metamorphic formations, where there may still be some broken areas to pass through. Productivity is assured with this smooth-cutting matrix. 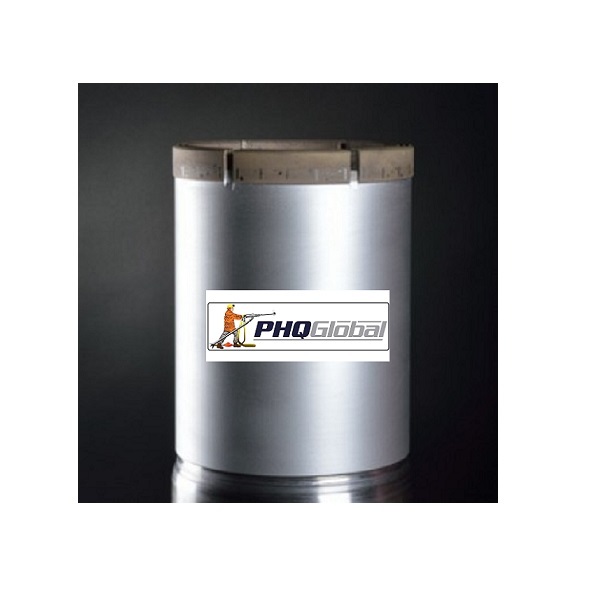 The least drillable, least abrasive and often hardest rocks present the greatest challenge to an impregnated bit because there is no natural mechanism for the matrix to erode, maintaining exposure of fresh diamond cutting surfaces . 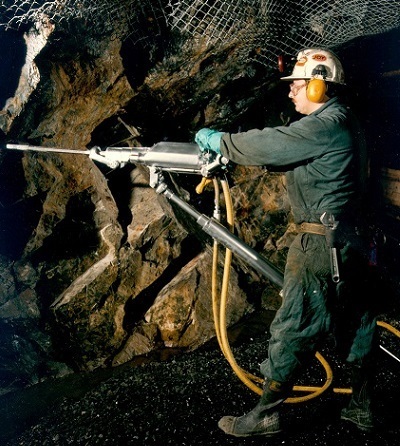 Series 500 is developed to address this hurdle, allowing fresh diamonds to be presented without constant intervention from the driller. Referring to the table above, select the matrix that most closely represents the expected type of formation. If the standard crown tends to polish or cut too slowly with the available bit weight, consider the Turbo option, or the next higher matrix in the scale. If the bit wears too quickly, use the next lower matrix in the scale. The waterway design and number of segments on the standard profile have been selected to provide a robust yet productive tool which can take on variable formations without seriously affecting performance. It is the default choice when facing the unexpected. 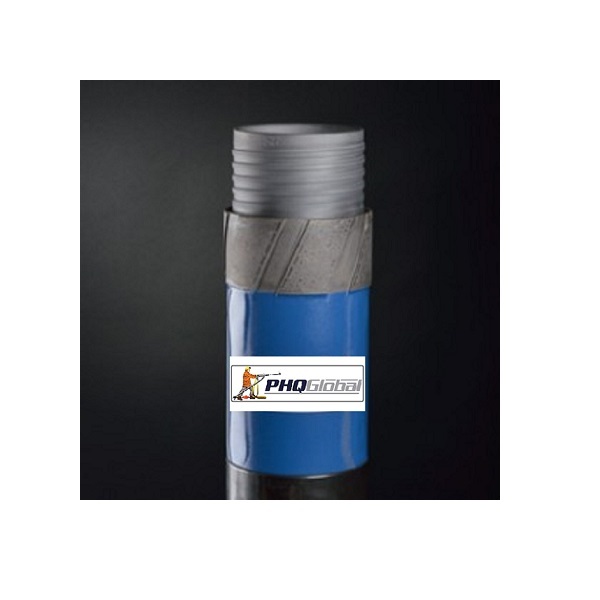 The PHQ Turbo crown has been developed by paying close attention to the hydraulic effects that take place around the water courses, especially at the higher peripheral speeds that can be expected when the user seeks maximum penetration rate. 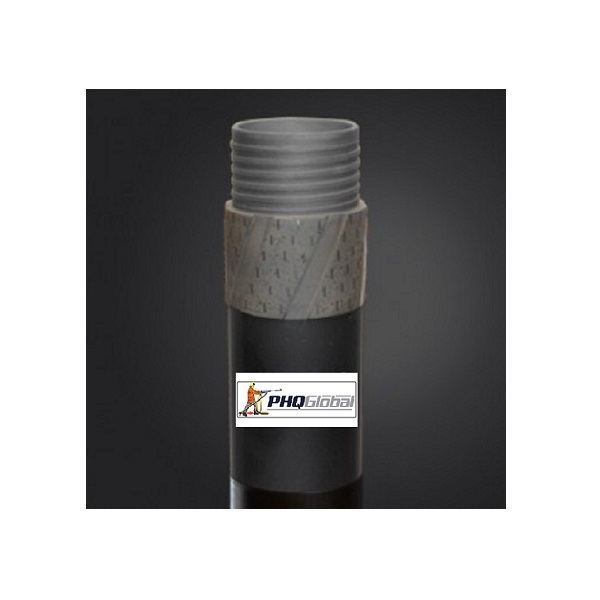 The result is a tool that stays effectively flushed and cooled, even when driven beyond the normally accepted parameters for wireline bits. Productivity can only be truly maximized when the simple effect of pushing up the penetration rate is balanced by efficient flushing to prevent uneven wear and premature failure. For use in unconsolidated formations, where there is a chance that fluid can be lost in the formation without performing vital flushing, it is usual to select a face discharge bit. 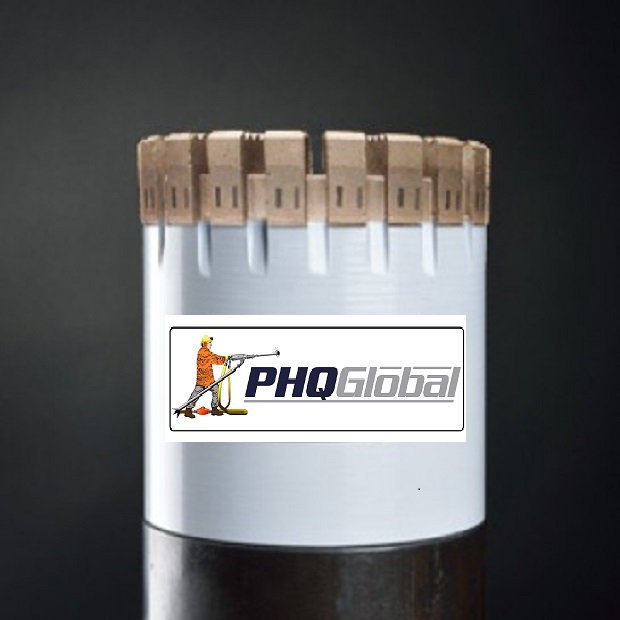 PHQ has taken a different approach from conventional face discharge design, optimizing the chance of adequately clearing the cuttings while minimizing the chance of washing away the more fragile core.